Accents of Armory Square does in-house jewelry repair in Syracuse, NY. 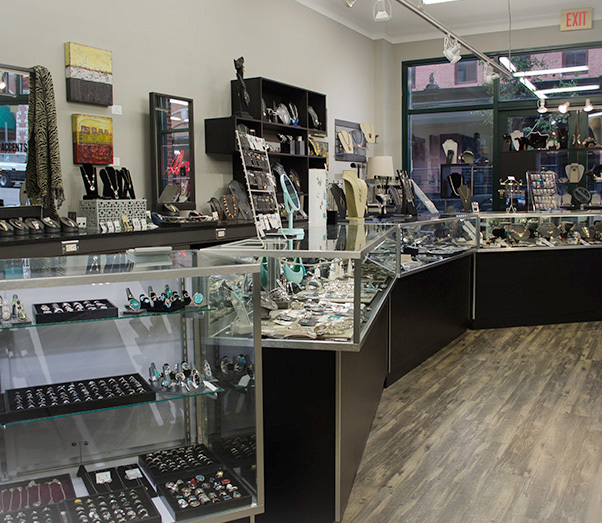 We are a family owned jewelry store with something for everyone. We sell a wide range of styles at different price points and feel confident you will find something you love here at our shop. A few of the lines we carry include the crisp and classic style of Charles Garnier, the beautiful and edgy Holly Yashi, and the rustic, chiseled look of Silver Forest. We have a large selection of Native American jewelry. 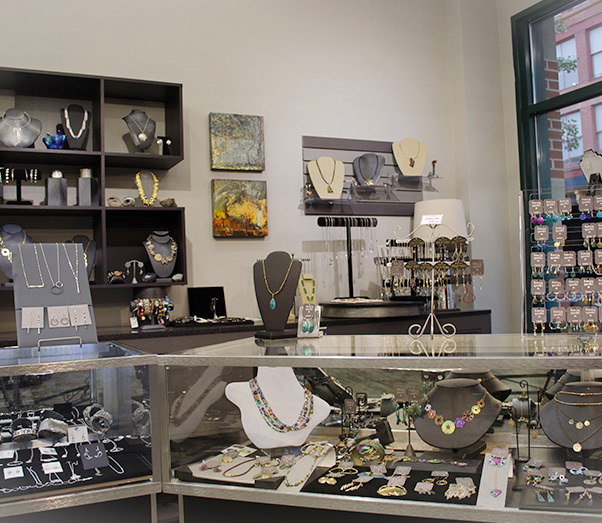 We sell mostly Sterling Silver jewelry, but we also carry gold, diamonds, as well as gem and birthstone jewelry and wonderful glass pieces too. We do minor repairs in-house and act as a conduit for other larger repair projects. We look forward to seeing you! 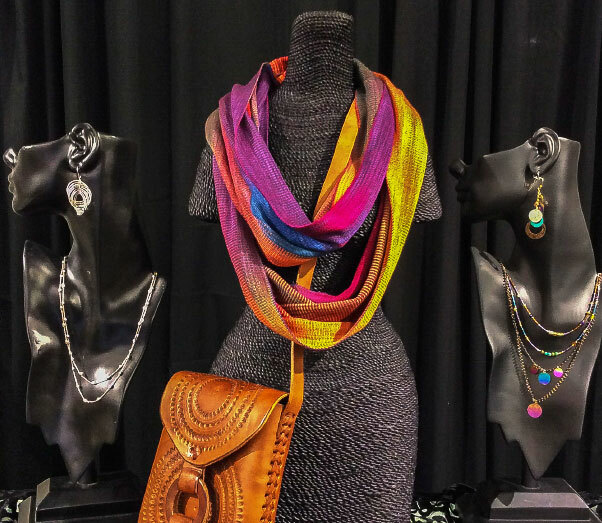 We carry a wide selection of Native American jewelry and pieces from designers such as Holly Yashi, Lois Hill, Judith Jack and others. We sell Citizen watches at 20% off manufacturer’s list prices! © 2019, Accents of Armory Square. All Rights Reserved.